recent mention by my bro, eric. all the way from toronto. a guy who blogs abt the streets/music/fashion/arts. news that you shld be keeping track on your blackberry 24/7. 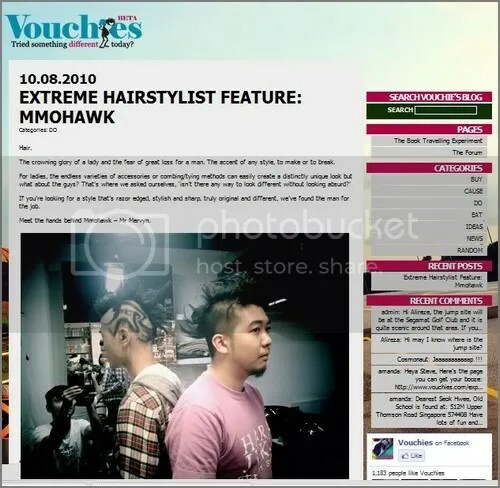 Mmohawk was featured on Vouchies and La Mode Outre. a special shout out to Amanda, Cenydd and Imee. for their willingness to tolerate my old jokes. the delinquency and angel and dove and distractions that led to 2hours of slow blading and great shots. and thank you James for even making the effort to make out my outfit in the dark. 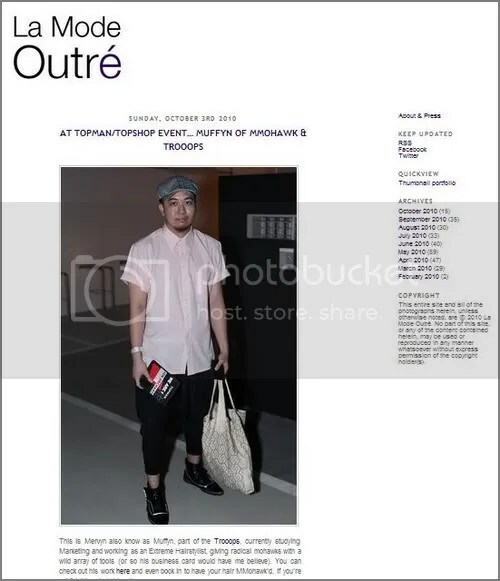 also, Venetia for letting me be her +1 for the topshop event. we have since learnt that carparks can be full of beautiful people. MMohawk. 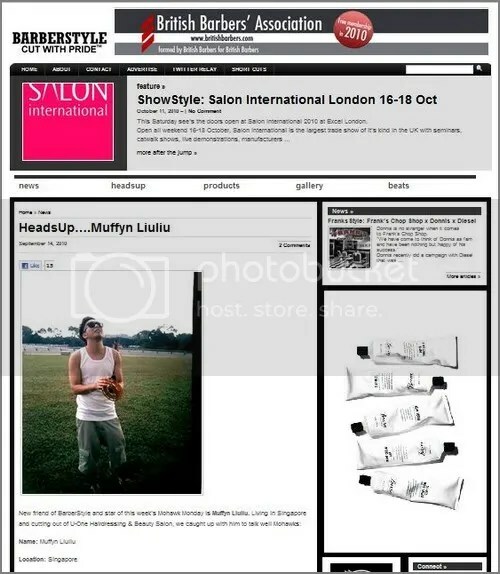 was featured on UK websiteBARBERSTYLEand theirHeadsUpsection! 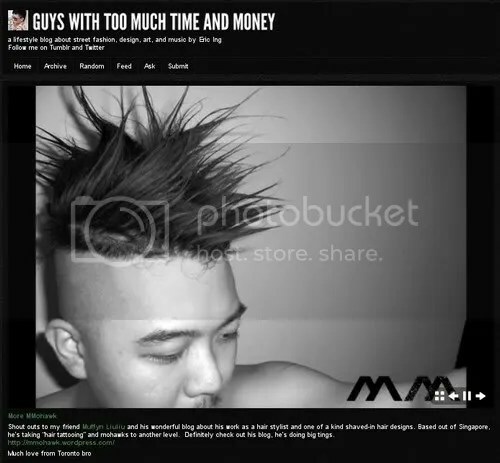 Do click around and check out the cool hairstylists and all their works! Do explore the whole website!